QR Offline Marketing. Bookmark this page to use it at any time and start adding digital media into your offline marketing efforts. Use the QR Code Image editor to make scannable codes instantly. Browse editors for print advertisements ready to add your QR code too with ease. Get started right away, it’s easy! QR Offline Marketing. 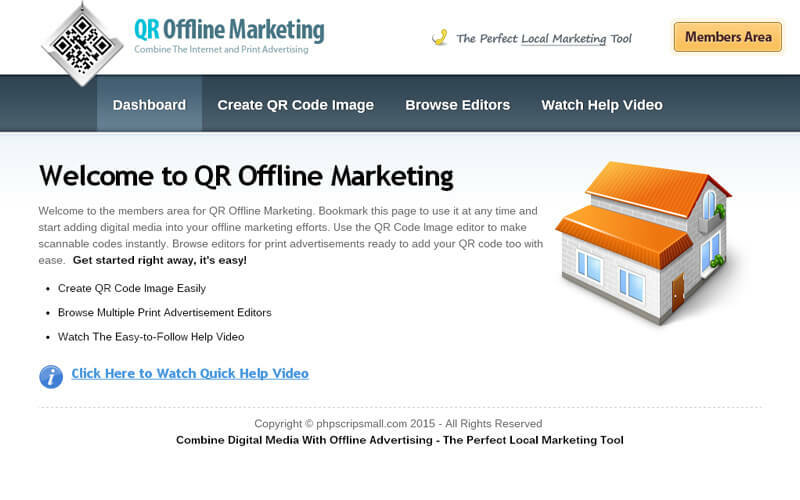 Bookmark this page to use it at any time and start adding digital media into your offline marketing efforts. Use the QR Code Image editor to make scannable codes instantly. Browse editors for print advertisements ready to add your QR code too with ease. Get started right away, it’s easy! Got a response in less than 30 minutes the developer offered detailed explanations to the questions I had. Great script complimented with a great support, what else once can ask for…??? Thank you so much for an excellent job. I appreciated you to tell clear, detailed instructions and the follow up for next 5 year this offers are such a fantastic and great system.